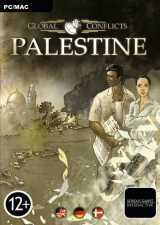 The complex history of the Israeli-Palestine conflict is often read in biased terms by all parties involved, creating a morass of different interpretations that can confuse anyone.It is within this intellectual chaos that Serious Games Interactive sets its first offering. Global Conflicts: Palestine attempts to go beyond educational games that add gameplay elements to rote learning and immerse you in the contemporary world of the Israeli-Palestinian conflict as an investigative reporter. As you pursue the news, you come face to face with both the larger aspects of the conflict, such as the bombings, kidnappings and military reprisals, as well as the smaller aspects, such as the security checkpoints, poverty and discrimination. You assume the role of a freelance journalist who has just arrived in Jerusalem armed with a pen, a notepad and your sharp wits to get you through the challenges ahead. The goal is to create and get an article published for a newspaper by collecting quotes from the dialog in the game. The player can either get information by building up trust with each side or take a more confrontational approach to dig out information. In the end, the story with the most news-value will get the best exposure, but be careful what you print, it will affect your standings with both sides. No matter the approach or the chosen alignment, during the course of the game your beliefs and ideas about the conflict will be challenged. You will experience situations - taken from real life events - that are more complicated than outsiders may realize.